MI6 has the first look at the official box art, FYI. I like it. Bond's face is still in shadow, but Craig's likeness is easier to distinguish. Here's the box art, in the official site. Oh wow, I like that a lot! Nice shot of Craig, too. Don't think I've seen it before. Definitely very cool box art there. Gah, so annoying. If only it weren't the exact same campaign! At last! I like it!! I love it. Has Craig ever worn a striped tie by the way? I don't think he has. Couldn't help notice it on the cover and was oddly interested in that. 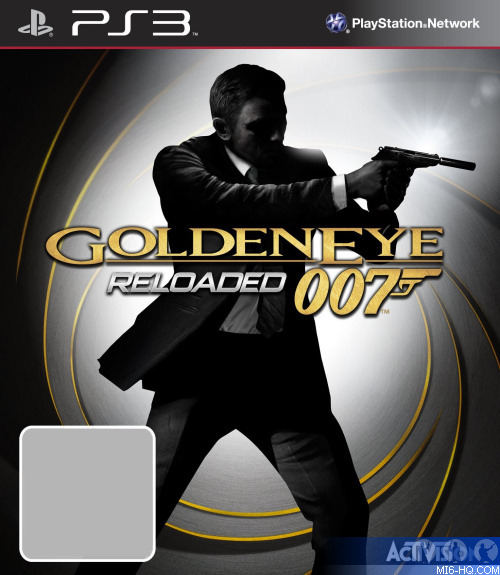 Funnily enough, I don't think the PPK (Bond's gun on the cover) is in the game, at least not the Wii version. I'm wondering if we're going to get any downloadable content for RELOADED. I mean, I know some was planned for BLOOD STONE but since the game had poor sales, I can understand the lack of DLC's. Blood Stones online was awful, pretty sure nothing appears when you search for it on the xbox live market place. Yes, I imagine the online here will be the best we've seen. I'm interested in seeing the revamped title sequence and an updated version of Craig's character model. Incase you haven't seen it yet! Interesting that Bond has only appeared in the snow outfit, even in the first trailer on the dam. Yeah I noticed that with the hype for the Wii game. I think the developers and marketers are hesitant to show Craig in association with Goldeneye. They probably assume (correctly) that since the game famously featured Brosnan, those interested in it would like to think he's involved in some way as well. With Blood Stone they had no problem showing off Craig since it was his adventure. Not so much with GE. It's sort of obnoxious. That is indeed true. It's bizarre really. And yet they couldn't even include a bathroom and some stalls in their new facility multiplayer map. But what Im saying is that in this GERELOADED Bond has only been seeing wearing his snow camo on all levels, No black combat suit, no tux, no anything but snow gear. Even though the first trailer highlights the dam and he shouldn't be in snow gear on the dam. Edited by British Chap, 17 August 2011 - 09:24 PM. 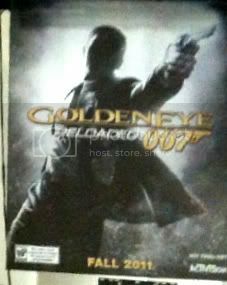 So I haven't been following this at all: this is the Wii GoldenEye game released for Xbox and PS3? That should be quite good, shouldn't it? New interview. Pretty much the same really. Looking forward to it, I think the snow outfit being in all the footage is probably just cos it's an earlier build of the game. Wise move pushing up the release date. Arkham City is going to dominate sales in October, while COD and Battlefield will control the market during the holidays. Hope this is true! 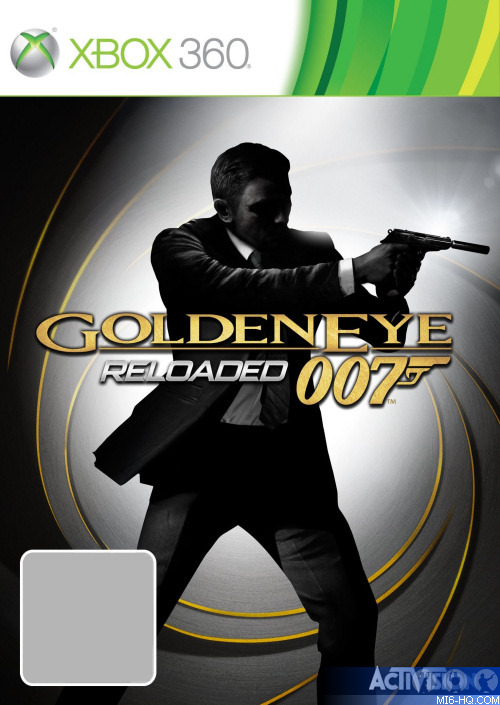 The release date on Play.com has GoldenEye listed as October 28th, which is kinda more reliable. A lot of the recent Gamescom articles about the game mention Sep 30th at the end so hopefully it's true. Now Gamestop and Amazon say November 1st. Meh. That would be another poor decision and setting Bond up to fail yet again. But then why would Gameinformer claim Sept. 30th? Perhaps way back then they had already shown, purposefully or not, a clip from the PS360 build of the game. No, that's no accidental slip. If you play the game again, you'll notice that's from the pre-rendered part of the title sequence. The second clip IS the game, and the shot from the first clip does not appear anywhere in the game. Edited by British Chap, 28 August 2011 - 09:10 PM. Pretty much the same footage as before, but wow, them graphics look sweet!